Turtle power! 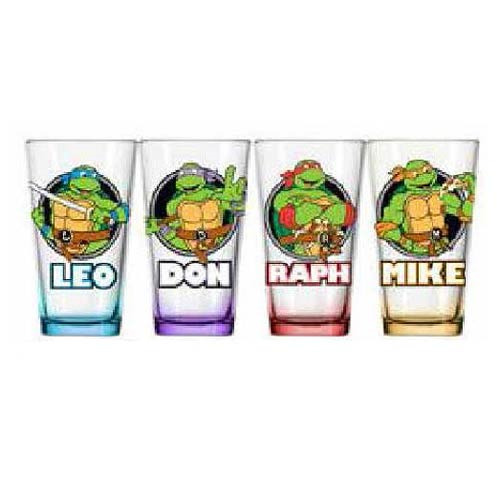 This Teenage Mutant Ninja Turtles Names Pint Glass 4-Pack features all 4 of our favorite turtle ninja brothers above their name and a colored base matching each one! 16oz Pint Glass Perfect for any Teenage Mutant Ninja Turtles fan. Do not microwave. Hand wash only. Not dishwasher safe. Ages 12 and up.